Two New Peoples’ Army (NPA) leaders were killed in an encounter with 39th Infantry Battalion (IB) of the Armed Forces of the Philipppines (AFP) troops on Friday, April 5 at the hinterlands of Sitio Lanan, Barangay Goma, Digos City, Davao del Sur. The casualties were identified as Roberto Castellote a.k.a. Enjoy, commander of the Guerilla Unit of GF51, and his secretary Lesly Pulido a.k.a Camille. Eastern Mindanao Command (Eastmincom) spokesperson Major Ezra Balagtey, on Saturday, April 6, told Edge Davao that based on the reports from Colonel Adonis Bajao, Commander of 1002nd Infantry Brigade which oversees the security efforts in the Province of Davao Del Sur, the military troops responded promptly to the information provided by farmers whose livelihood were being disturbed by the Communist Terrorists. Balagtey said that with the help of former rebels and rouges gallery of 39IB, the NPA leaders killed during the 45-minute encounter against the troop of Lieutenant Colonel Rhojun Rosales. Aside from taking down two rebel leaders, Balagtey said the Army recovered a M4 rifle in the operation. Balagtey said the same unit of the 39th IB also conducted a security patrol in the mountainous area of Sitio Latel, Barangay. Colonsabak, Matanao, Davao Del Sur on April 1, 2019 after an information received from a tribal community on the presence of CNTG. The encounter came at the heels of President Rodrigo Duterte’s permanent termination of peace talks between the government panel and the Communist Part of the Philippines (CPP). 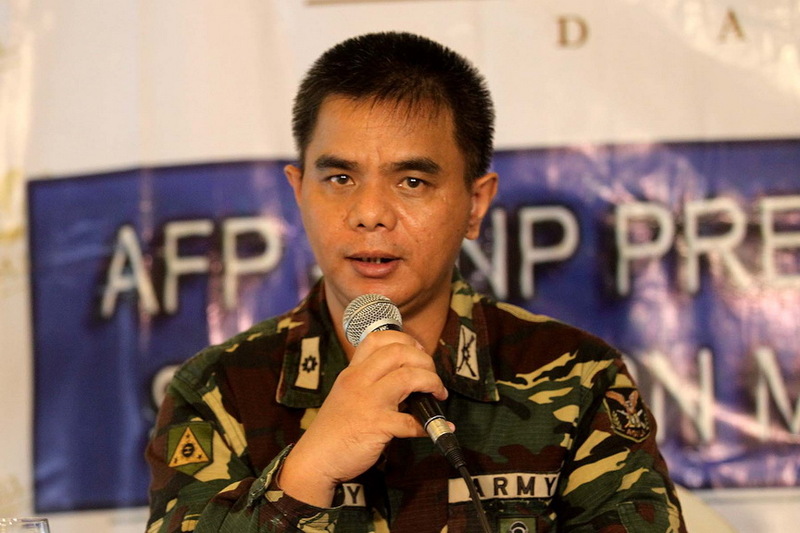 Balagtey said on April 3, community information also guided the sustained operations in Compostela Valley which led to another encounter between the pursuing troops of 71st Infantry Battalion under Ltc Estevyn Ducusin and an undetermined number of CNTG at Sitio De Oro, Barangay New Barili in Maco. The same group also had encounter with the military on March 28 and 31 in the boundary of Maco and Mabini in Compostela Valley. Balagtey bared that Major General Jose Faustino Jr, Commander of 10th Infantry Division (ID) has sent a report to Leutenant General Felimon T. Santos Jr. stating that they are sustaining their security operations in the Division’s area of responsibility as the CNTGs are on the run after more communities are keeping them off and tipping their presence to authorities. Santos, Jr., for his part, urged the troops to take the cooperation of the communities as a call to end the insurgency and to continuously coordinate with them. “This cooperation we are receiving from the communities is a message that they want to end the conflict once and for all. We should reciprocate it with our sustained operations to protect their right to live free from coercion from any terror group,” Lt Gen. Santos Jr in his directive. He likewise calls on to the CNTG to lay down their arms and heed the call of the people for a peaceful community. “The people with their information is sending the message for you to abandon arm struggle and this is what we want to re echo, surrender and avail of the integration program and let us bring together peace to the communities,” Santos said.